Last Week in Review: The Fed met and the volatility continued. 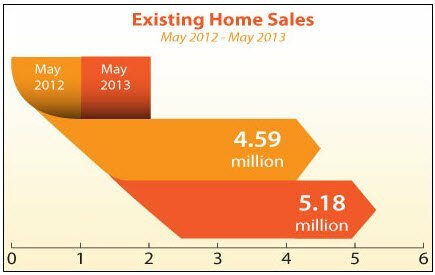 Find out how home loan rates were impacted. Forecast for the Week: The last week of June will be busy, with news on housing, inflation, consumer confidence and more. View: Been wondering what those #Hashtags are really about, and if they really do make a difference? Learn more below. “I’m free…free fallin’.” Tom Petty. 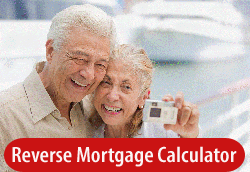 Mortgage Bonds continued to fall last week as the Fed met and more volatility followed. Read on to learn what happened. After last week’s meeting of the Federal Open Market Committee (FOMC), the Fed released its Policy Statement, noting that the downside risks to the outlook for the economy and labor market have diminished. Especially important: There was no mention of tapering their Bond Purchase program known as Quantitative Easing. However, in the press conference that followed, Fed Chairman Ben Bernanke said, “Assuming the economy and labor conditions evolve as the Committee expects, the Fed anticipated it would begin tapering later this year and to finish by mid-2014.” This mixed message caused a sell-off in both Stocks and Bonds, adding to the volatility the markets have seen of late. Last Week in Review: Volatility continued in the markets among some good economic news. Forecast for the Week: All eyes will be on the upcoming Fed meeting. Plus key housing, inflation and manufacturing reports will be released. View: Facebook can be a great tool for your business–unless you make the below mistakes. “I don’t know where we’re going, but we’re on our way!” That quote from a Little Rascals episode can certainly apply to the markets of late, as uncertainty has Stocks and Bonds moving in various directions. Read on to learn what happened last week, and how home loan rates were impacted. There was some good news for the labor sector as Weekly Initial Jobless Claims fell in the latest week to 334,000. This was below expectations and the lowest level since early May. The 4-week moving average, which evens out any seasonal abnormalities, also fell. 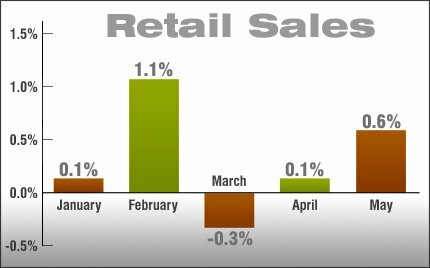 In addition, consumers opened their wallets in May as Retail Sales rose at the fastest pace in three months, led by demand for groceries, autos and building materials. More positive news from the housing sector, CoreLogic reported yesterday that home prices rose 0.7% from December to January and surged nearly 10% compared to a year ago. 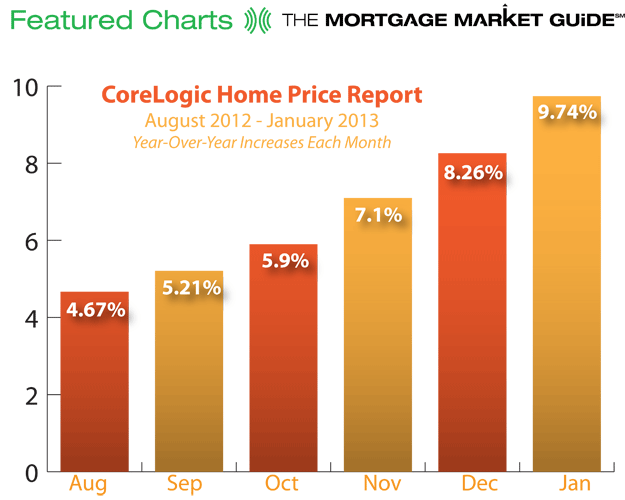 The 10% increase was the largest yearly since April of 2006 and was the 11th monthly increase in a row.